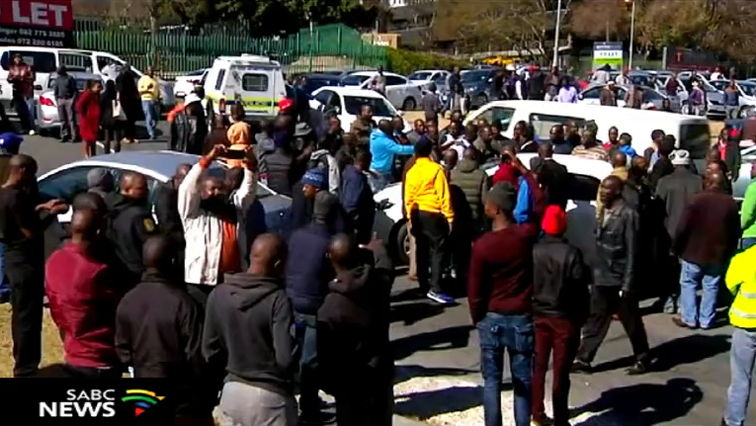 Uber, Taxify drivers vow to continue strike action - SABC News - Breaking news, special reports, world, business, sport coverage of all South African current events. Africa's news leader. Uber and Taxify drivers want commissions received by the companies to be reduced. Uber/Taxify drivers say they will not be deterred from highlighting their plight. This after they found Uber offices closed as they attempted to deliver a memorandum of grievances in Garsfontein in Pretoria on Tuesday afternoon. Scores of drivers have shut down their operations nationally. They’re demanding that the mother company, E-hailing, increase their fare price due to fuel hikes that are killing their profits. One of the march organisers, Chris Ravhuhali, says their members are being ill treated and intimidated by rival operators. Ravhuhali says they’ve so far lost seven members in violent attacks. “No single arrest and no feedback as to how far they are with the investigations,” adds Ravhuhali. This entry was posted on 04 Jul 2018,06:27AM at 6:27 AM and is filed under Business, Homepage Latest Stories Slider. You can follow any responses to this entry through the RSS 2.0 feed. Both comments and pings are currently closed.